Today sees the lunch of our Technique Treats #4. This month we have a couple of great tutorials showing you how to Heat Emboss & Sponge with Dies using the gorgeous & ever so versatile “Lovely as a Tree” & have created 4 cards for the males in your lives. Let’s face it, we all love this set. 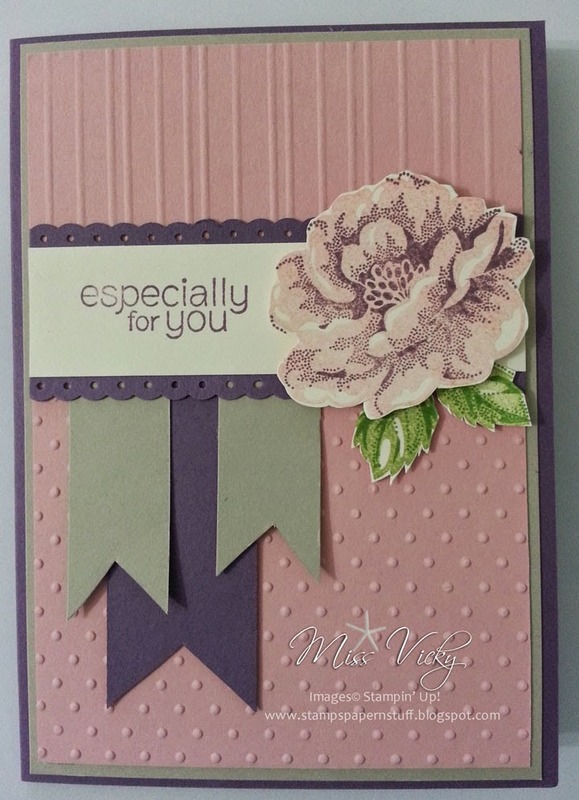 We also have a bonus for anyone who purchases this month’s tutorial creating a card for a female to highlight how we can chop & change this stamp set. We would love for you to join us so be sure to click on the “Technique Treats” to purchase this Treat. Today’s card is one I did way back in June/July when we could pre-order for the current catalogue. I have just found it in my blog file & one which I thought I had posted. To create my card, I stamped the background images direct onto the Base card Whisper White in Smokey Slate Ink, ensuring the images were in the middle of the card & not too high or low. 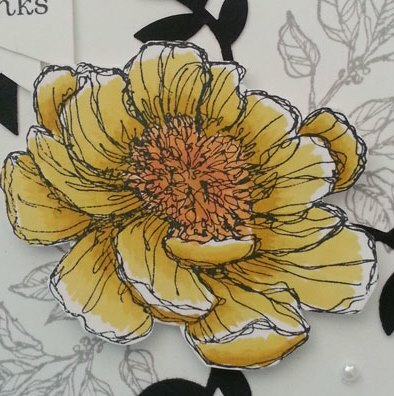 I then stamped the large flower image onto a scrap of Whisper White with Memento Black Ink & coloured with Daffodil Delight & Pumpkin Pie Blendabilities before cutting out & setting aside. A piece of Modern Medley DSP (Retired) was adhered to the Top & Bottom of the Base Card. 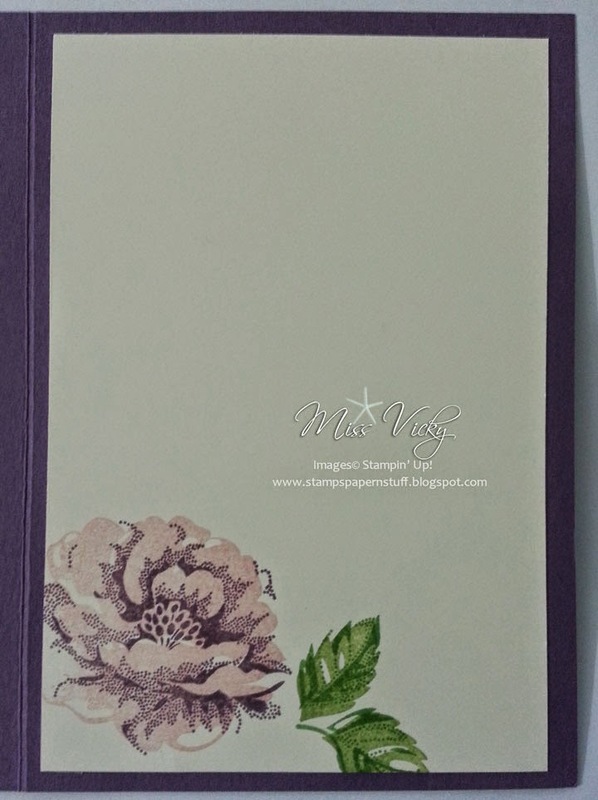 I then attached the large flower to the card with Stampin’ Dimensionals. 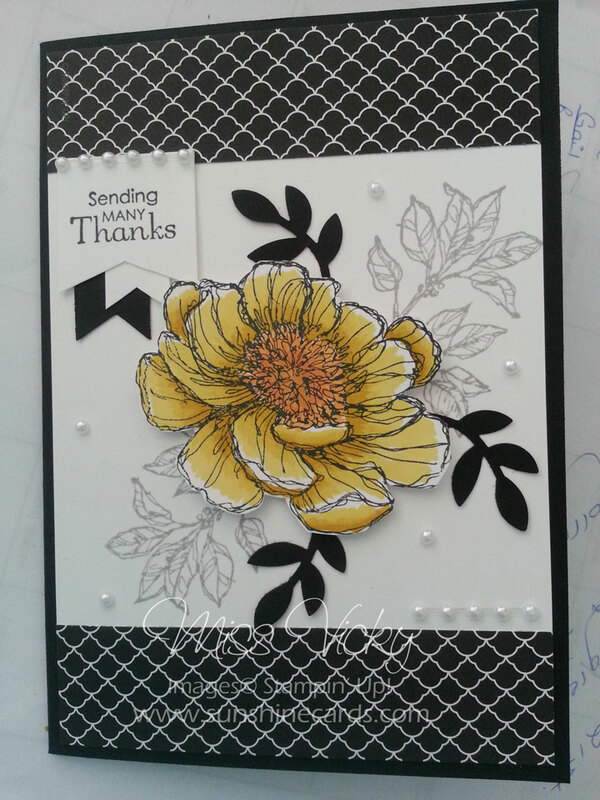 3 x Basic Black Leaves were punched with the Bird Builder Punch prior to adhering under the flower. The Sentiment from Petite Pairs was stamped onto a scrap of Whisper White with Memento Black Ink, prior to cutting into a Banner Shape at the bottom. A Basic Black & Whisper White Banner was created prior to adhering all 3 to the top part of the card. To finish it off, I adhered a row of Pearls along the top of the Banner & again along the top of the DSP. I then scattered smaller Pearls around the card. You may recognise this card as it is on Page 170 of the current catalogue. I’ve changed it around to suit what I had to play with. It seems like forever since my last post, but with the wedding season upon us, invitations & receptions have been taking up all my spare time. Today’s post is one I created a couple of weeks go & thought I would share with you. 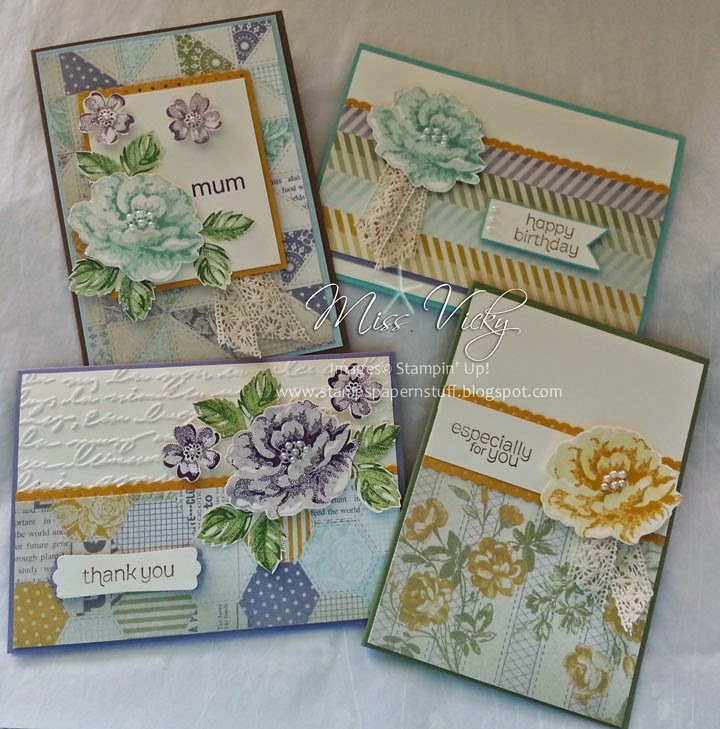 It is a very easy layout but one that can be changed out to whatever you want using different stamps, colours & even DSP. In fact, this card would make a perfect card for Mum, especially with Mother’s Day just around the corner. is our Stamp Set for April & just in time for Mother’s Day! Once payment has been received, your kits (Australia only) will be posted in the mail. You will receive your PDF Tutorial (available to anyone) via email.